From Ken Willcox: After leaving Williams, Bruce received his law degree from the University of Texas School of Law. He served in the U.S. Army, then returned to Dallas to begin his law practice. He was affiliated with a number of private law firms before entering the energy field with Hamon Oil Company and Sun Oil. He subsequently returned to private practice focused on energy. Bruce leaves behind his wife Gloria, sons Howard and Blake, stepsons Christian Nunley and Matt Nunley, and sisters Nancy Cantwell and Jan Newsome. Bruce’s wry sense of humor was captured by his “taxi cab yellow” Volkswagen Beetle that was a halftime fixture on the Williams football field. Another friend/classmate who shared our formative years in Williamstown has left us. We mourn his loss. Below is the obituary that was published in the Dallas Morning News. Bruce Martindale’s zest for life was as enormous as his wry sense of humor. In college, his “taxi cab yellow” Volkswagen Beetle was a halftime fixture on the Williams College football field as well as the source of real foolishness. A private and passionate man, he spoke with utmost honesty. With laser accuracy, he sensed our humanity with appreciation and laughter. Beneath was a gentle, sensitive soul who cherished his family, friends and springer spaniels. Life’s joys and sorrows were deeply experienced adding to his appreciation of all he had been given. He passed away peacefully on November 6, 2016, having lived with Early Onset Alzheimer’s Disease since 2008. The son of James Bruce Martindale, Jr. and Barbara Browne Martindale, he was born April 8, 1945 in Dallas, TX. 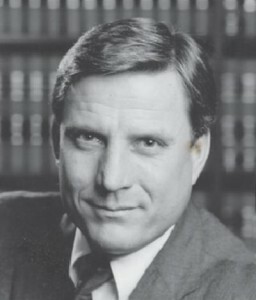 A graduate of St. Mark’s School of Texas, Williams College and the University Of Texas School Of Law, he served in the U.S. Army before returning to Dallas. He began his practice of real estate law with Locke, Purnell, Boren, Laney and Neely. Subsequently, he entered the energy field with the Hamon Oil Company and Sun Oil. He continued his oil and gas practice with Payne, Vendig and Godwin Carlton. He concluded his career with an energy-based private practice. In 1998, Bruce married Gloria Eulich. She added a spark of immense joy to his life. They shared a family of four sons, four dogs, tennis and an active social life – never a quiet moment. His adored springer spaniels were constant companions and brought riotous laughter. Bruce played weekly tennis games at Brook Hollow Golf Club and the Dallas Country Club. Bruce and Gloria shared a love of travel and toured the world. His reverence for his family’s traditions is reflected in his treasured collections and library. Bruce’s parents and daughter, Whitney Martindale, predeceased him. He is survived by his wife, Gloria Eulich Martindale; son, Howard Martindale and daughter-in-law, Cece Martindale; son, Blake Martindale; stepsons, Christian Nunley and Matt Nunley; sister, Jan Martindale Newsome and brother-in-law, Tom Newsome; sister, Nancy Martindale Cantwell and brother-in-law, Conan Cantwell; granddaughters, Anne-Catherine and Meredith Martindale, nephew, Bruce Newsome, nieces, Stuart Newsome, Amy Gitchell and Carolyn Cantwell. Numerous cousins smile as they remember him. His family extends its deep gratitude to Lauro Rodriquez, his devoted companion and caregiver; Dr. Jill Studley, Dave Pollock and the staff at Premier Home Living. A memorial service will be held on Saturday, November 12, 2016 at 1:00 P.M. at St. Michael and All Angels chapel, 8011 Douglas Ave, Dallas, TX 75225. A reception will follow. The burial will be private. In lieu of flowers, the family requests that memorials be sent to the Center for BrainHealth, 2200 West Mockingbird Lane, Dallas TX 75235; Crystal Charity Ball, 3838 Oak Lawn Avenue, Suite L150, Dallas TX 75219; and Visiting Nurse Association of Texas Hospice, 1600 Viceroy Drive, Suite 400, Dallas TX 75235.